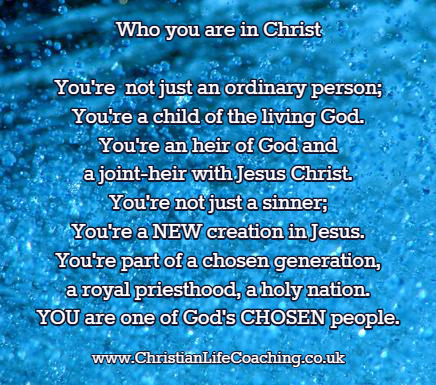 You need to know who you are in Christ so that you can live your life as God intended and fulfil your destiny. The more you agree with God about your identity in Christ, the more your behaviour will begin to reflect your GOD GIVEN identity. God's opinion is the one that counts. Accept what God says about you, agree with Him that it is true of you and become the spiritual person you are. Understanding who you are in Christ will give you a strong foundation to build your life on. Knowing who you are in Jesus is the key to a successful Christian life and a life lived ON purpose. Your identity doesn't depend on something you do or have done. Your true identity is who God says you are. Once you choose to follow Jesus you become a new creation, the old you passes away and you become who you are in Him. Please stop living out of who other people say you are and take hold of the truth of God's word. 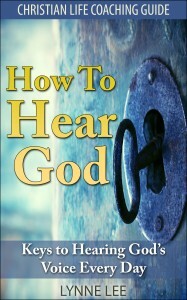 Find out what God says about you and agree with Him. To live an effective Christian life you need to KNOW and BELIEVE who you are in Christ. Understanding your identity in Christ is crucial to living life as God intended. If you have found this page helpful please share with your friends.